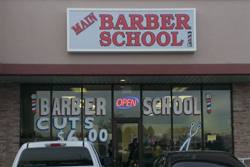 Main Barber School is a professional barber shop able to treat the hair and scalp. We offer shaving, hair cutting and styling for men and women, chemical texture, full color, and highlighting. We’ve been in business for 40 years and apply a hands-on, life-like, and up-to-date approach. Our school gives you the tools to operate your own salon. We are a learn-to-color trade school and you can also earn your license through us. We specialize in fades, flat tops, mohawks, barber shaves, and military shaves. We work with customers in Farmington, Shiprock, Ignacio, and Durango. Regan Tafoya is a master barber who can give you a great cut or shave or teach you the skills to be a barber yourself. We also do kids’ haircuts. Our customers are proud of our awesome, fast, and friendly customer service. You’ll find us on Facebook and Google Plus, so stop by to see what we’re up to. 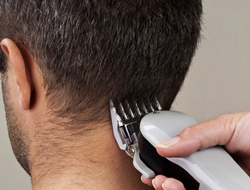 We are located in a spacious strip mall on Main Street, with a second barber shop on Broadway. We can also create a cute updo for your next formal event or school dance. Combine great service, dedicated students, professional and experienced barbers, and a variety of stylish hair and you must be at Main Barber.